Ombre hightlights are all the rage. 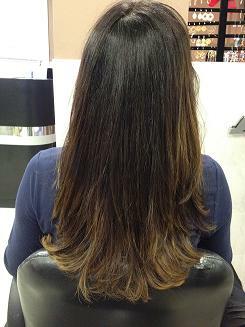 These highlights are a darker root to lighter ends, all blending to bring a look like this picture. You can go subtle or intense. Whatever color you choose, these highlights will add texture and depth to your hair.